I hope my son does well on his report card and if so, this is for him to celebrate the end of the year. 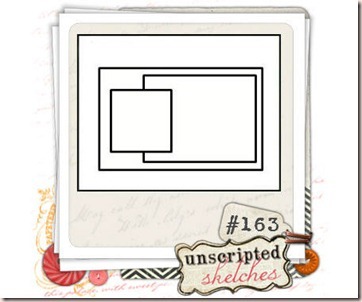 This card is also for Unscripted Sketches 163, Joan’s Gardens challenge this week to make a card for a kid and this month’s Waltzing Mouse Blog Party which is open for linking right now! I kinda got on the confetti craze for this card. I used lots of different papers from 3 packs and Say It Loud from Waltzing Mouse stamps. I wish I’d had one smaller star die so I could layer some even smaller stars pointing off the top right corner, I’ll have to go on a hunt to see which company makes just the right sizes. The photo below is the inspiration for this month’s blog party. I’m noticing that I really strayed from the sketch quite a bit. I think you can still see the inspiration though, my large panel is bigger, the square was translated into a star and the right panel shrunk into my banner panel. I was still inspired by it though and that’s the point right? I hope…? I hope if you enjoyed my card that you will visit again. I am in the process of making a video for a really cool graduation hat gift box/gift card box and I’ll post the link and measurements as soon as it is done. I have subscription thingies on my sidebar. Have fun with the rest of the party! Accessories: star dies-Sizzix, PTI, star punch-Fiskars, foam dots- Jody Morrow, notebook page punch-SU! Wow! Fantastic use of those colors, and your take on the sketch is fabulous! So glad you joined US! Your card is amazing! I love the sprinkling of stars and the pretty papers you used! Fun and whimsical! Love all of those stars, and this color combo had me at hello! lol 🙂 Thanks for sharing, I love this! Love all those stars and patterns put together….cute cute! I am TOTALLY seeing STARS with all this CUTENESS!! 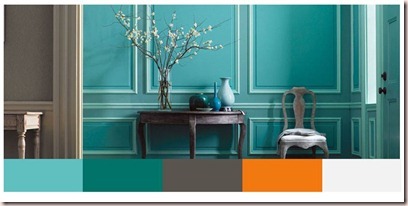 Love all the color ~ just makes me happy!!! Beautiful card, love all the stars. I love the spray of stars! Great papers, super sentiment. Really lovely card! LOVE how you layered those stars, Rebecca! The sentiment is so cute laid out like that! Such wonderful patterns in this color scheme. I am sure your son did great and will love this card! So glad you could join the party this month :)!! This is lovely! 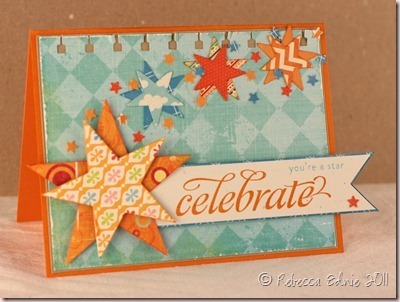 Your layered stars are fantastic and your sentiment that extends past the card looks awesome. Thanks for joining the “party”. Hi Rebecca! I LOVE your Gorgeous card!! The stars look wonderful and it's a great design. Your son is going to love it!! Well – this is just such a **fun** card! I think any kid would love it, but it would make an adult smile, too! Fabulous card! Love your take! Thanks for playing at Unscripted Sketches! Love your splattering of stars on this wonderful celebration card Rebecca! Rebecca, this is adorable. I love the stars sweeping across the top of the card and the diecut top edge of the card. That sentiment stamp is great! I love your sentiment, celebrate like a star, so sweet. And all of those stars in different shades of orange, just so clever. Beautiful card.